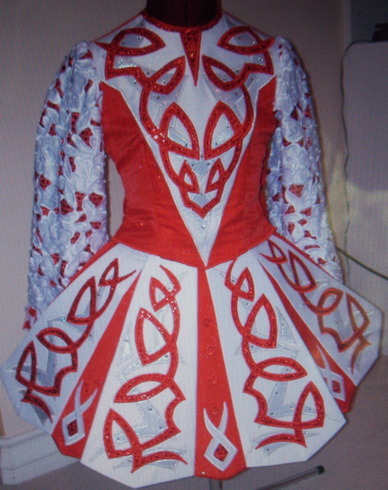 Bodice and panels have red holo square and silver knotwork applique, red fabric scattered w/sparkles. 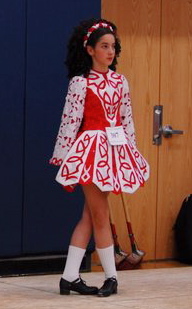 Skirt has 4 petals or panels and inverted back pleats. 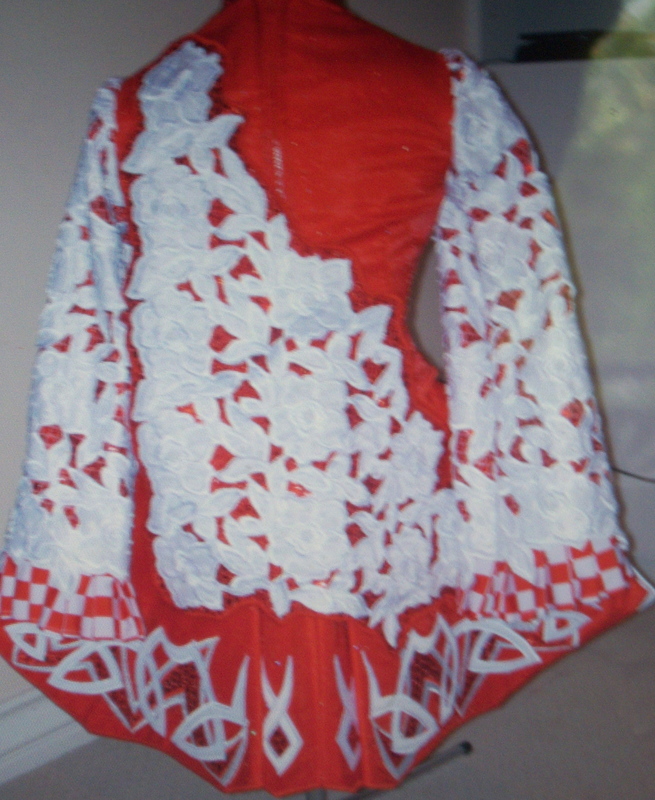 Sleeves are beautiful pearled cut lace over red holo square w/red check lycra ruffle at cuff. 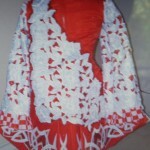 Soft cape is the same cut lace over red holo square. Also adorned with many stones and little red rosettes. Underskirt and bloomers are red and white check lycra. Dress has full length zipper for ease of dressing. Comes with bloomers, barrel headband and backing for tiara. 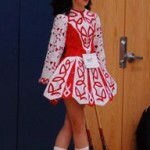 It is a 2 piece dress and would not be difficult to adjust to fit a dancer in length or width. Asking Price: $US450. Shipping costs not included. Sale is final.